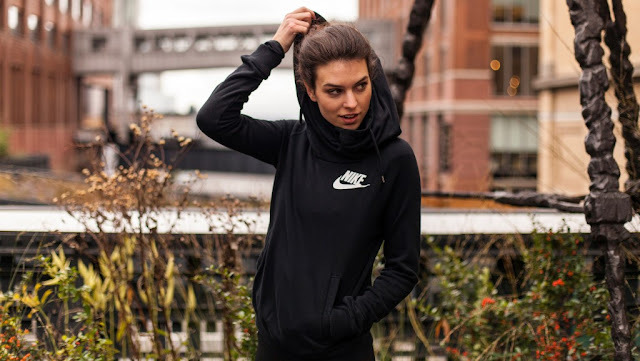 3 Sportswear Lookbook from Zalora. Today i want to talk a lil bit about Zalora's sportswear. If you're an active woman you're lucky. There are various design for women in the market nowadays and you could choose the pieces you adore. Although it is hard to squeeze your time to exercise. But, who can say no to comfortable sport clothing? Enough with this hot weather nowadays, even a sports clothing can be a trendy fashion eventhough you're just going to mall. Well, want we want is comfortable nowadays. A nice pair of jogger pants and loose t-shirt. Everything you look in here scream comfortable yet trendy to wear to on a casual out with friends too instead working out in them. Feel lazy on a certain day? Match this tight fit leggings and still feel comfortable with a loose top on. To add on fashion, throw a jacket or cardigan to give a trendy vibe. Perfect camouflage for a go-to outfit. Every person has black hoodie sweaters in their wardrobe. This hoodie sweaters can be match with any sportswear clothing such as shorts, leggings or sweatpants. To sum up, this hoodie sweaters is a vital sportswear that you must have to complete your everyday looks. Do not have it yet?